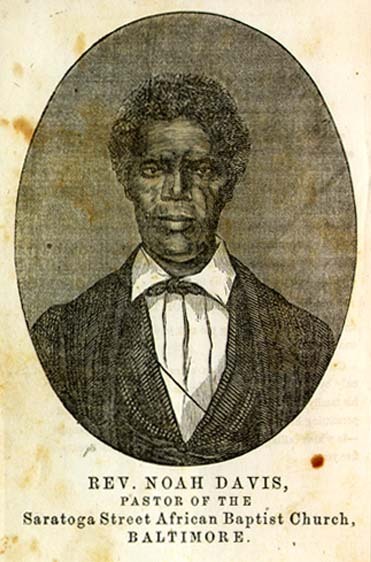 In advance of tomorrow night’s History at Sunset–“Slavery and Slave Places in Fredericksburg–here are some musings on two slave narratives produced by Fredericksburgers. Both begin with the identical words: “I was born a slave.” Both narrate a life within slavery and a lifelong quest for freedom. Both were urban slaves, working in homes or small businesses or industry. But in most other respects, the narratives of John Washington and Noah Davis could not be more different. The differences command of those who read them special care. They demonstrate vividly why context matters. The secondary anniversaries of a battle —the anniversaries of its portrayals and interpretations as well as of its delayed impacts upon people—follow its principal anniversary. This summer finds us in the aftermath of not only the 154th anniversary of the December 1862 battle of Fredericksburg but also the 120th anniversary of the publication in 1896 of “The Little Regiment,” Stephen Crane’s short story inspired by that battle. The story garnered wide circulation initially but later fell under the broadening shadow of The Red Badge of Courage, his classic tale published in 1894-1895. For the park’s History at Sunset series, my colleague Becky Oakes recently presented a program on Red Badge and the April-May 1863 battle of Chancellorsville, partial inspiration for Crane’s novel. My consideration of “The Little Regiment,” below, draws encouragement from Becky’s program and from an earlier History at Sunset presentation on Red Badge by John Hennessy and Andrea Dekoter (video here). We hope you can attend History at Sunset events, marvelous opportunities to engage with a variety of Civil War subjects in the actual settings of the events discussed. I write this post on a Fourth of July weekend at my home, itself located mile or two from the sites of the Army of the Potomac’s camps prior to the December 1862 battle. One of Isaac Walton Taber’s woodcuts from Stephen Crane’s fictionalized Fredericksburg, captioned with his text describing skirmishing prior to the main Union attack. “The Little Regiment,” McClure’s Magazine, June 1896: 13. “The Little Regiment” first appeared in the United States in the June 1896 issue of McClure’s Magazine. (Chapman’s Magazine of Fiction offered “The Little Regiment” at the same time in Great Britain.) Stephen Crane had visited Fredericksburg sometime between January 12 and January 26, 1896, after McClure’s co-editor John S. Phillips requested a series on Civil War battlefields. Crane’s ensuing work produced several short stories about the war. McClure’s published “The Little Regiment” with three woodcuts captioned with or positioned near the corresponding passages in Crane’s text. Advance publicity that ran in the magazine’s May 1896 issue described it as ”the story of a heroic charge at Fredericksburg,” and announced that famed historical artist Isaac Walton Taber, who published more than 250 illustrations the previous decade in Battles and Leaders of the Civil War and The Century magazine, would supply the woodcuts. Another overlooked aspect thus emerges when our perspective widens beyond The Red Badge of Courage: many early readers (McClure’s claiming a circulation of 300,000 in May 1896) encountered Crane’s visions of the Civil War—of Fredericksburg, at least—in art as well as in words. Stephen Crane walked or rode past these Fredericksburg buildings during his January 1896 visit, four years after veterans of the Second Corps’ 14th Connecticut Infantry sponsored this informal photo. Center background, behind railroad car: wartime freight station of broad-gauge railroad (RF&P) connecting Fredericksburg with Washington and points north, upon which Crane arrived and departed. Right foreground: postwar passenger/freight station of narrow-gauge railroad to Orange (PF&P in the 1890’s, “Unfinished Railroad” in 1862). Left foreground: possible railing of Prussia Street bridge at or near site of millrace/canal-ditch bridge crossed by attacking Second Corps regiments—possible counterpart to one of the “little bridges” referenced in Crane’s story. Henry S. Stevens, Souvenir of Excursion to Battlefields (Washington, D.C., 1893), p. 82. Modern site of railroad-stations area from similar viewpoint and angle at Kenmore Avenue and Lafayette Boulevard: Google StreetView. The Red Badge of Courage had appeared prior to Crane’s 1896 Fredericksburg trip–in print as a newspaper serial in December 1894 and as a book in October 1895. Obviously hoping to capitalize on this notoriety, McClure’s added “By the Author of The Red Badge of Courage” to Crane’s byline for “The Little Regiment” in June 1896. (The magazine’s advance publicity for the story, the month previous, had likewise highlighted the Red Badge connection and proclaimed that “no young man has made himself so felt in literature since Kipling,” contributor of another story to McClure’s June 1896 issue.) In November 1896, other publishers in America and Britain reprinted “The Little Regiment” in book-length compilations of six of Crane’s Civil War short stories, three penned for McClure’s and three for the Irving Bacheller syndicate. Left: Stephen Crane in 1896, the year he visited Fredericksburg and published “The Little Regiment.” Right: Adolphe Menjou, who hosted a telecast of Crane’s story in 1954. Both: Wikimedia Commons. Artists in media besides woodcuts would illustrate Crane’s fictionalized Fredericksburg. Although “The Little Regiment” has yet to rate a movie-length treatment, as Red Badge of Courage did in 1951, it did inspire a television program. The series Favorite Story broadcast The Little Regiment as a half-hour teleplay in October 1954. Host Adolphe Menjou provided the introduction. A Star is Born, A Farewell to Arms, and Paths of Glory were among his past or future acting credits. Ellis Marcus, a prolific, future contributor to episodes of everything from Mission Impossible to Knots Landing and Lassie (my first television-addiction) adapted the teleplay from Stephen Crane’s story. Leon Benson—The High Chapparrall and Bonanza—directed. The 1954 show featured actors Russ Conway—destined for fame via The Virginian, The Fugitive, and Bonanza among other shows; John Doucette—The Big Valley, Get Smart, Mannix, The Big Valley; and Duane Gray—Gunsmoke, Bonanza, and Rawhide. The 1954 show was rebroadcast at least once, in September 1958. “The Little Regiment” in 1896 offered settings and general events nearly identical to those of the December 1862 battle, although Crane did not use the terms “Fredericksburg” or “Rappahannock,” or name the opposing commanders and armies. In 1967, Charles B. Ives noted abundant parallels to the historical battle, in one of the few scholarly articles devoted solely to “The Little Regiment”: Crane’s protagonists, brothers Dan and Billie Dempster, march and bivouac with their regiment (its state-affiliation and number not given in the story) on “the cold earth of December,” pause on the north side of a river listening to the bombardment of and preliminary fighting in a “little city”—called “town” and “village” elsewhere in the story—then cross to it over a pontoon bridge. A Union cannon among the “long row of guns” that bombard the town at the start of Crane’s story. (The shadowing and orientation suggest that Taber adapted Alexander Gardner’s stereograph of a gun overlooking Belle Isle and Richmond.) “The Little Regiment”: 12. [T]he details moved out on two different streets and were immediately fired upon on Hanover street, and Watson McCullough, of Company C, was wounded, causing a halt, and a sharp engagement until the squad on Princess Ann street…flanked the rebel pickets…advancing still further they noticed the depot and machine shops…under a shower of bullets coming from a new source, a railroad cut…the squad now crossed the bridge over a canal…moved to the right oblique to the house that was the furthest out of any…looking out the west window, they saw near at hand the pickets taking good aim, and firing on our men near Hanover street; the window was opened and a volley sent into the flank of a number of “graybacks” lying in a ditch, when there was a lively climbing and rushing to the rear by fifty or more Confederates, who did not stop until they were under the protection of their comrades, behind the stone wall….